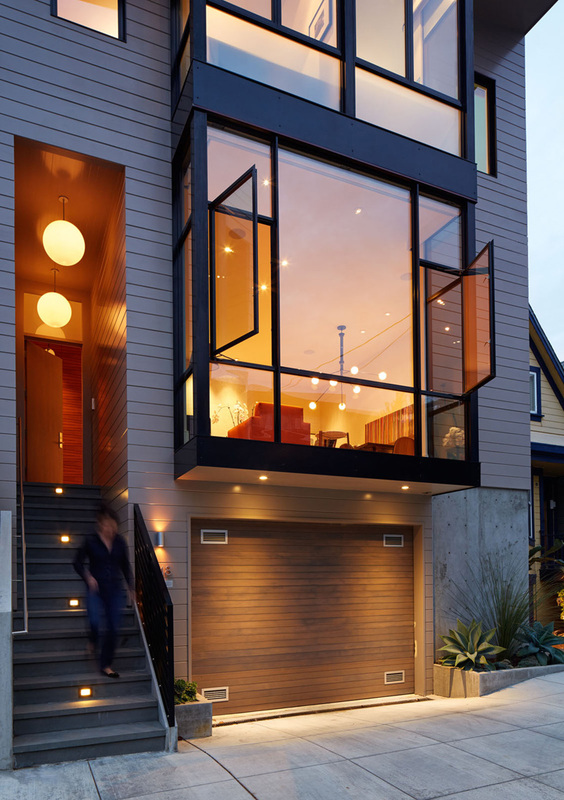 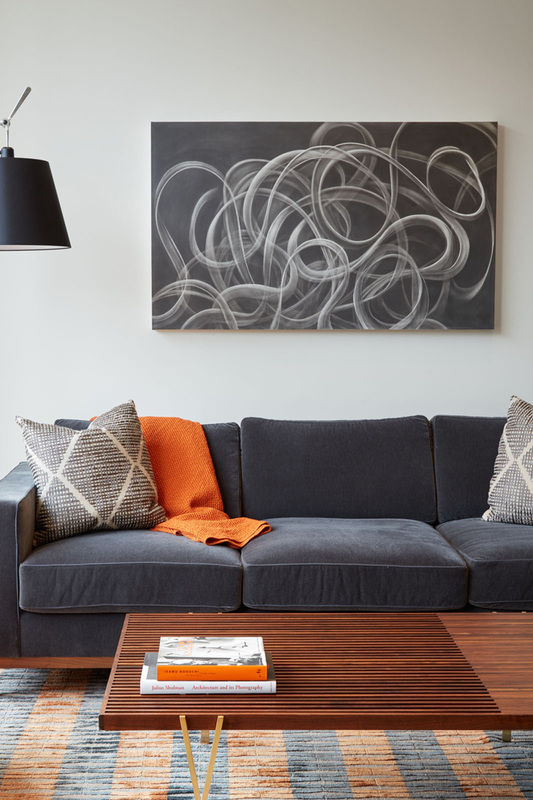 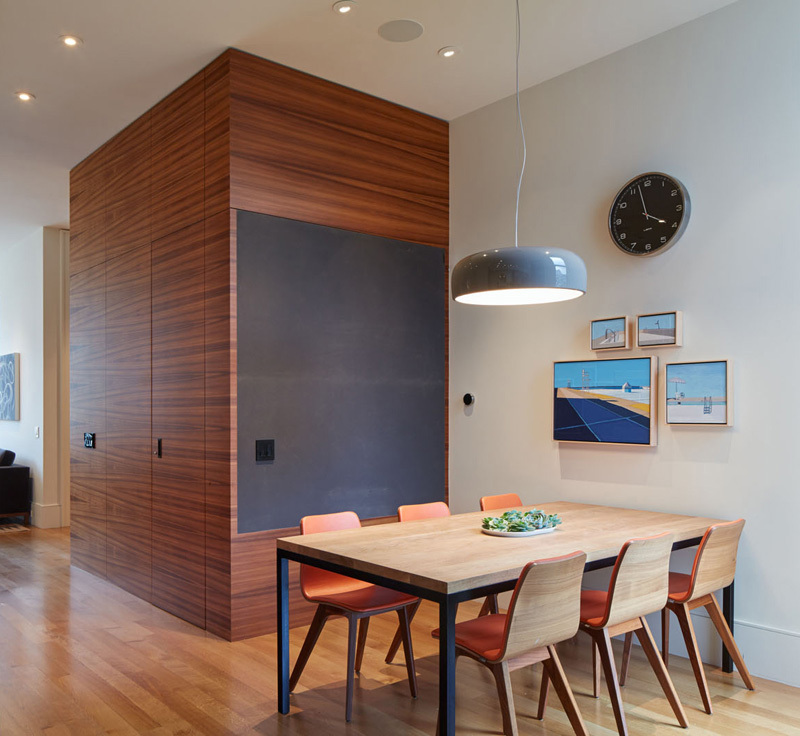 Studio Vara have designed this new 3 level home for a family in San Francisco, California. 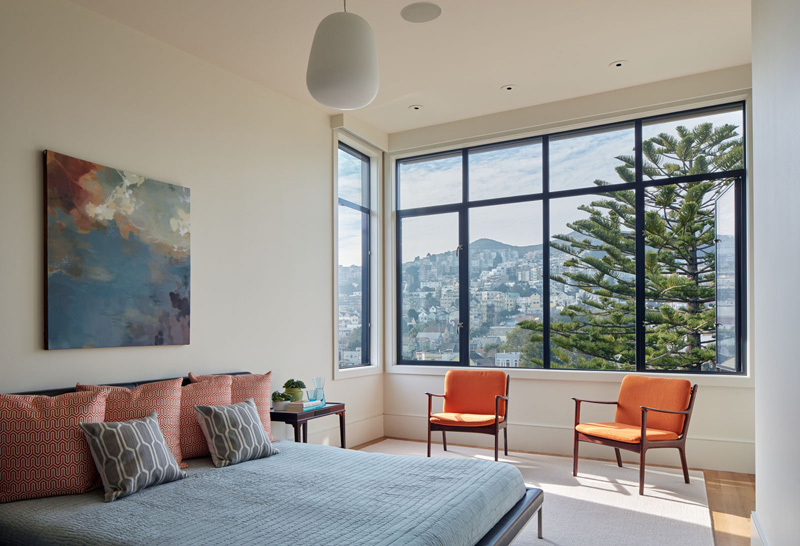 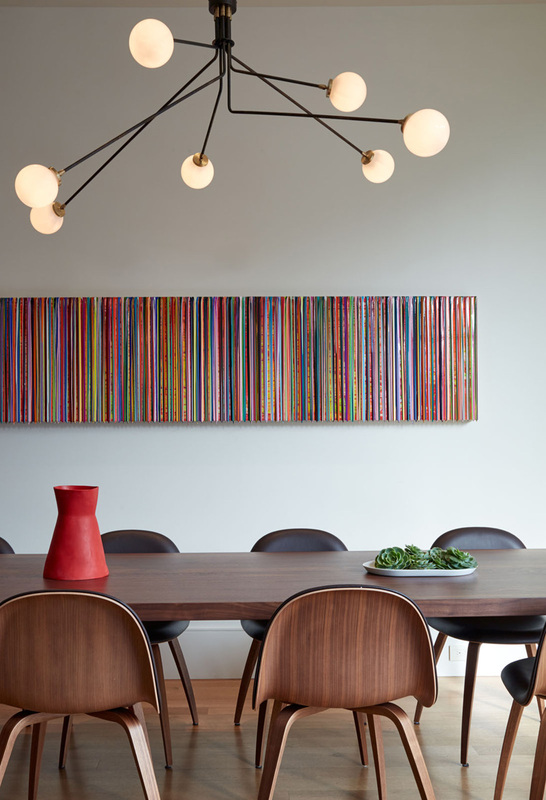 On a steep downhill lot, we attained the rare opportunity to design this new ground-up house in San Francisco; taking advantage of its vertical arrangement to achieve both intimacy and generosity. 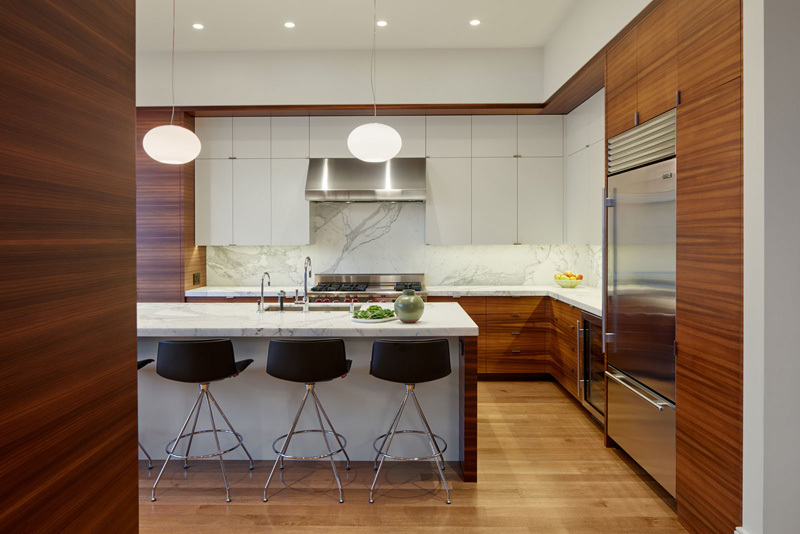 The three levels balance spatial luxuriousness and fluidity, a disciplined and delicate approach to materials and details, and a multifunctional program for its family of four. 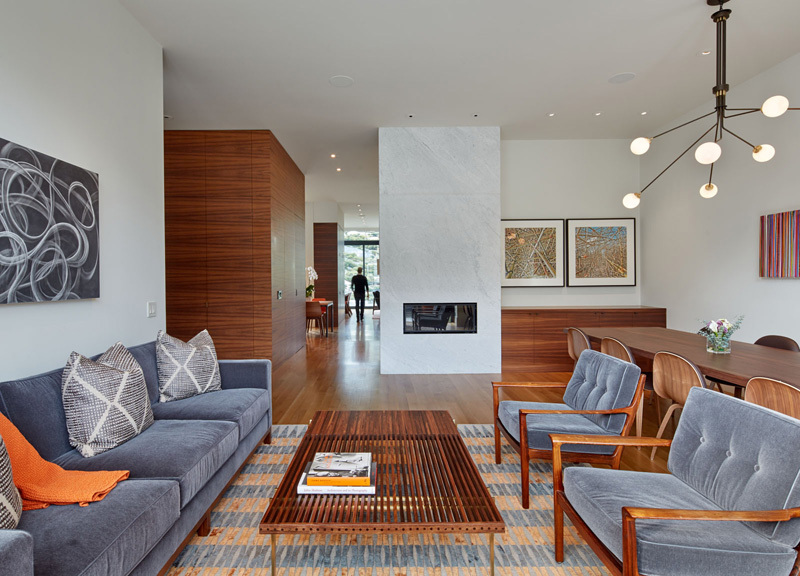 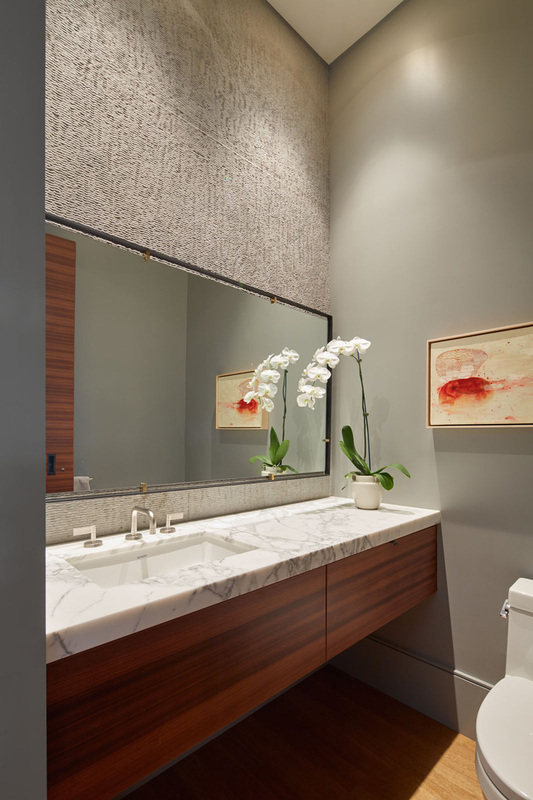 The main level is divided into large open spaces for the living areas and kitchen, which are interwoven with discrete masses: fireplace, powder room, and pantry. 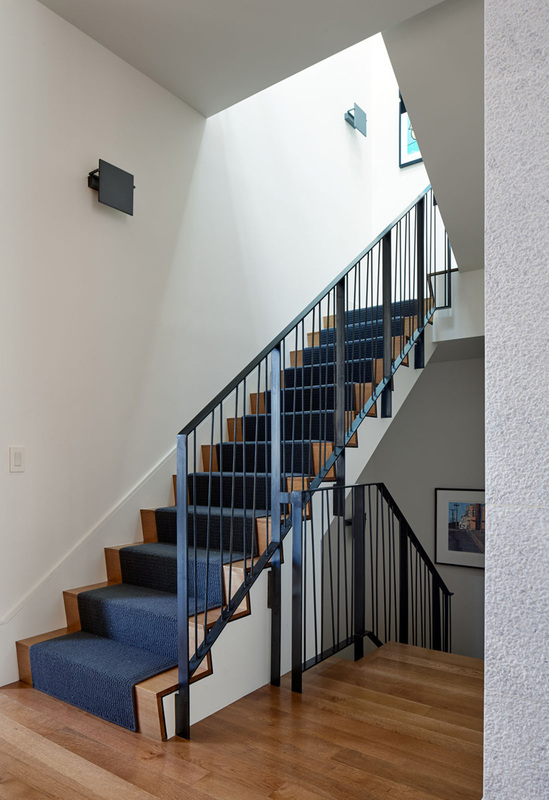 In contrast, the top floor benefits from a switchback stair with a central landing that offers communal access to the compact and efficient layout of bedroom suites. 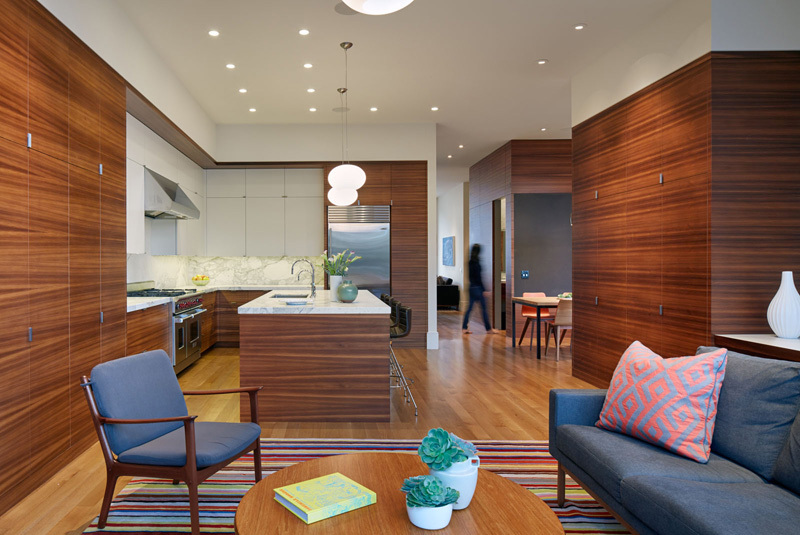 The lower level is spatially and materially distinct, and acts as entertaining space and private refuge.